Stanton Hall Gardens is located just 5 miles from the market town of Morpeth in Northumberland. It is the ideal wedding venue for relaxed, rustic weddings as it offers couples flexibility with regards to planning their own perfect day. I fell in love the moment I visited Stanton Hall; I particularly liked its country feel and the tranquility around it. It really is a magic place with lots to offer; Laura, their wedding co-ordinator and owners’ daughter, took us from one secret hidden gem to the next. There are so many stunning locations for beautiful photographs: the Wedding field, the GinGan, the Wedding Barn…and Laura is so friendly and helpful; she makes you feel very welcome. The Wedding Barn at Stanton is beautiful; it oozes real country charm and provides seating for up to 120 guests. I really enjoyed decorating it with our botanical collection: chiffon chair drops, gauze table runners, vintage glassware and lots of foliage. 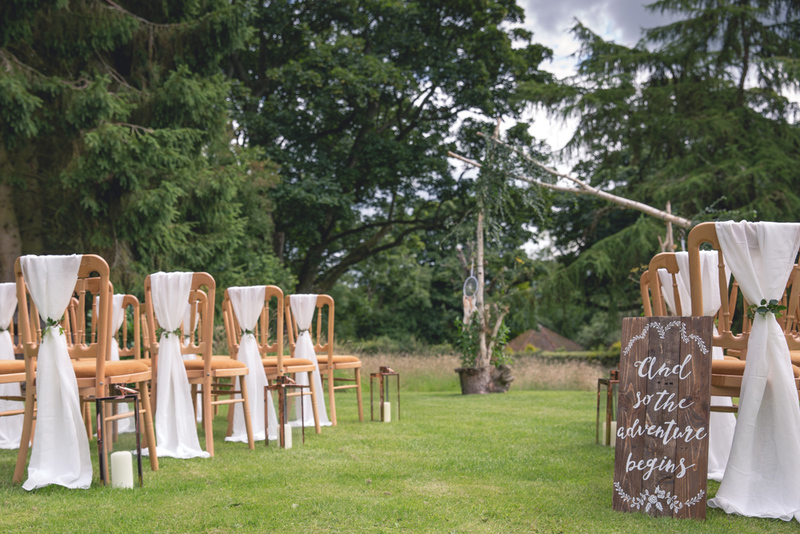 Our rustic LED LOVE letters also looked great at the end of the aisle alongside their drapes. 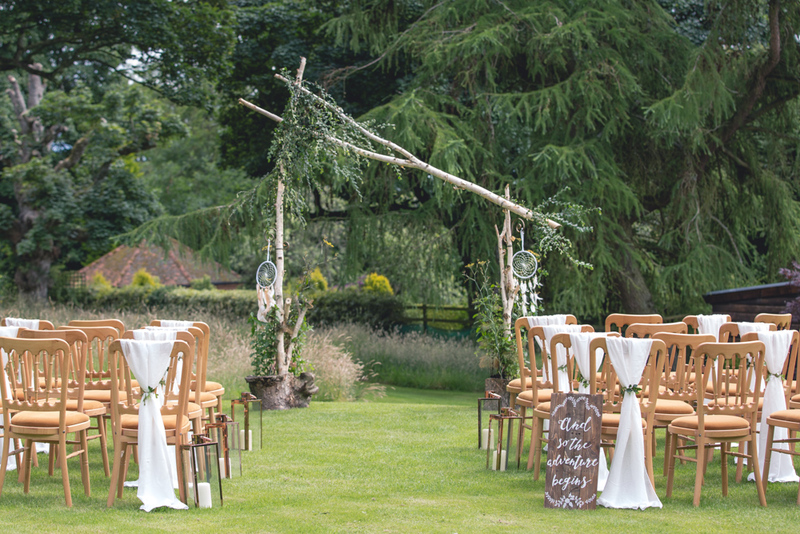 Their immaculate Wedding field is ideal for an outdoor ceremony. 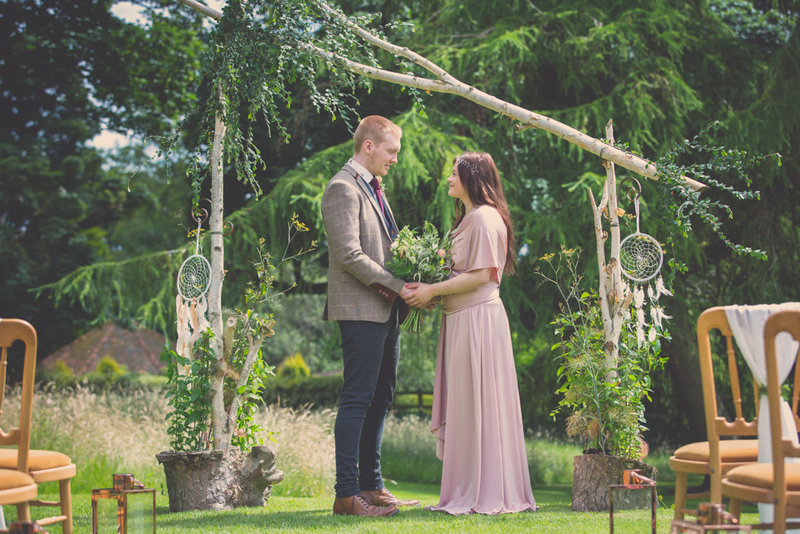 Laura had designed this amazing rustic arch on the day so I just added a few little details such as dream catchers, a personalised wooden sign and rose gold lanterns. I also set up the boho belltent, which looked amazing on their field. I wish I had seen it at night time as it would have looked so magical with lanterns and fairy lights. So if you decide to get married at this fantastic venue and need some advice/help styling it, please do not hesitate to contact me for an exclusive offer. I just love the place! Here are some images taken by the talented Jonathan Stockton Photography.